"The M.A.R.E. Center occupies 419 beautiful acres in Northern Virginia, a gift to Virginia Tech from the late Paul Mellon and his wife, Rachel, of Upperville. Originally a beef cattle and forage research station, the farm became an equine pasture research facility in 1988. Mr. Mellon established an endowment for a professorship to lead research in equine pasture nutrition studies, as well as provided funding for several new buildings. Our mission at the M.A.R.E. Center is in keeping with Paul Mellon's vision of pasture systems that would promote animal health and performance while, at the same time, protect and enhance the land. Our current research involves the study of the effects of the environment on pastures and horses, the effects of pastures and supplemental feeds on horses, and the effects horses have on pasture, soil, and water. Our vision is to interact with the local horse community to provide a resource for improving the quality of horse care and nutrition, as well as making stewardship of the land a significant objective. Our goal is to contribute to the advancement of both the productivity and the performance of horses in Virginia. The M.A.R.E. Center has already achieved international recognition through its research on pasture-based nutrition of horses. The one-of-a-kind facility serves as a model for other universities both nationally and internationally. In addition, the researchers at Middleburg are investigating and promoting collaborative projects with other departments within Virginia Tech, as well as with other research programs throughout the world..."
This is one of the most valuable assets, for the well-being of the equine, in Virginia. The research that is performed at this facility benefits the horse, horse owners, and horse industry, world wide. 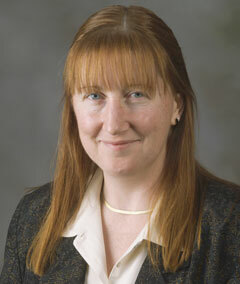 "BLACKSBURG, Va., Nov. 19, 2008 - Shea Porr of Charles Town, W.Va., has been named superintendent of the Middleburg Agricultural Research and Extension Center (MARE Center). 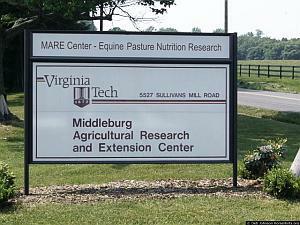 The MARE Center is one of 13 agricultural research and Extension centers in Virginia and part of Virginia Tech's College of Agriculture and Life Sciences. Porr brings an extensive knowledge of equine research and Extension programming, as well as a passion for sharing her expertise through educational venues. She has considerable experience in nutrition and physiology research and equine education and has published extensively on the topic of equine health and exercise. As equine Extension agent for Virginia Cooperative Extension Northern District Office, Porr implemented more than 30 programs throughout the commonwealth. Previously, she worked as equine Extension associate at The Ohio State University and served as assistant professor at The Ohio State University Agricultural Technical Institute. Porr received her undergraduate degree in animal science from Texas A&M University and graduated with her master's and doctorate degrees in equine nutrition and exercise physiology from the University of Florida and Virginia Tech, respectively. She is a board member of the Virginia Forage and Grassland Council, and an active member of the Equine Science Society, the Virginia Horse Council, and the Virginia State Animal Response Team. Virginia Tech's Middleburg Agricultural Research and Extension Center's mission is to advance the health and wellbeing of the horse through graduate education for equine professionals, nutritional and pasture management research, and community educational programs. Located in Middleburg, Va., the center is one of 13 Agricultural Research and Extension Centers located across the state that serves the commonwealth's agricultural needs."